Ramon Llull « CONSTABLE RESEARCH B.V. Since 1915, Marcel Duchamp occasionally bought simple objects in order to exhibit them as art objects. What he wanted to show is that “The Spectator Makes the Picture“. 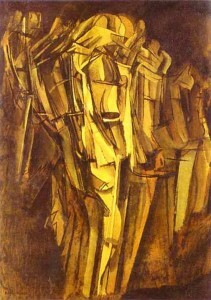 To many people the Art of Duchamp was the End of Art. The end of art was also a new beginning. Many of the artists who rejected the traditional art object found new realms to explore, by moving to a new level of abstraction, Meta-Art. The meta-artwork is a class of possibilities rather than an individual thing. It may take the form of an always changing pattern (Open Form), a collection of building blocks (Interactivity), a physical process (Process Art), a computer program (Algorithmic Art), or a mere idea (Concept Art). What Meta-Art is trying to accomplish is to generate all the possibilities and “Let the Spectator Choose what he Likes“. Producing beautiful art is not easy. Especially if you have to make a living out of it. Many artists would sell their soul to the Devil in exchange for a magical tool that would produce the perfect artwork, enchanting their patrons and producing fame and fortune for themselves. In every era artists searched for generators and libraries of beautiful components. It is well-known that geniuses like Bach and Mozart used music-generators. The concept of an Art Generator was described in the book “Ars Generalis Ultima“ of Ramon Llull (1232-1315). Lullus (his Latin name) got his idea from the ancient Astrologers, the Magi. Ars Generalis Ultima inspired Gottfried Leibniz who inspired Gilles Deleuze (“Le Pli“) and George Chatin (“The Limits of Reason“). Giving the spectator a choice can be done on the level of a picture (“Now I like it“) or on the level of the process itself. “What he likes” is permanently changing according to the moods of the spectator. If would be even better if the environment and the spectator were constantly in the Now, kept in “a Permanent state of Pure Beauty“. 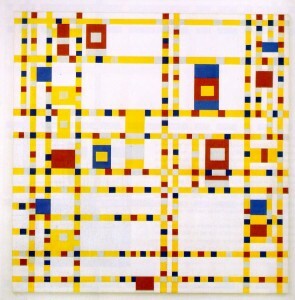 Mondriaan experimented with Metrical Repetition and Symmetry. He studied Improvization and Jazz to find the perfect pattern. At that time Mathematics and Computers were not helpful to him. Chaos-theory (Emergence), Fractals (Self Reference) and Super Symmetry (The Multi Dimensional String) were “invented” much later. Mathematicians have been gifted with the Talent of Art. All of them love Music and many of them make music. To me Mathematics is about pure Beauty. It is not a coincedence that Mathematics is the leading force to create innovative Art. Mathematics in combination with the Computer is capable of much more. It is capable of generating and controlling adaptive environments. Places where happenings take place that create new narratives. We are not far away to create the automated Chronotope, the Holodeck in the famous television series Star Trek. I have been involved in many experiments in this area. I worked with Erik Vreedenburgh and Remko Scha and Ad Luytwieler . The website of Artifical contains many briljant articles. I used them in this blog (Thanks). 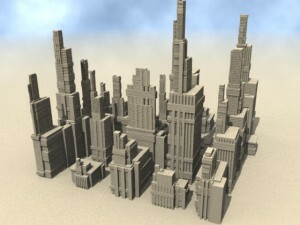 All of them are able to create beautifull buildings for a budget that is a fraction of what we pay now. They even create adaptive buildings. Buildings that can be used by everybody in every state of his body and in every state of his life. It is time to move ahead. The Computer, the Calculator, is not only capable of slaving the human. He is also able to serve and help us to calculate, to count, to tell us about Harmony and even pure Beauty. A Human needs to be creative to Understand The Self. Our Personal Art is a Mirror to See what We Are.